Andrews and Thornley Construction, Inc. has been one of the Napa Valley's and surrounding counties Premier General Contractors for over 20 years. 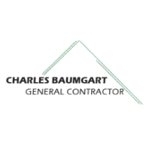 General construction, fire & water damage, remodeling, repair and improvement. Bathroom remodeling & kitchen renovation. In the top 10 general contractors in Solano County, according to The Prime Buyer's Report. 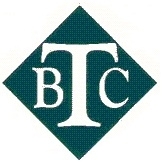 Bruce Tucker Construction (BTC) is a team of dedicated professionals providing more than 30 years of experience in the Napa Valley. We have built strong relationships with local architects, engineers and building departments. 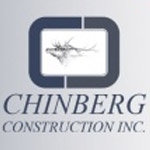 Chinberg Construction has been serving the Napa, Sonoma, Solano, Contra Costa and Marin Counties since 1978. In this time we have earned a fine reputation as being one of the most professional and trusted in the industry. Eagle has been serving the greater Bay Area for 35 years. Our estimators have extensive knowledge and experience. Get peace of mind by contacting Eagle today for a free estimate on a roof repair or replacement. Based in the prestigious Napa Valley region of California, Forbes & Sons is a fully licensed General Contractor dedicated to building spectacular custom homes, unique commercial projects, and estates that meet or exceed client expectations. Goodwin Construction formally began in 2004 by Michael J. Goodwin. Located in the Napa Valley, Mike has been in the construction field for over 35 years. Building contractors, remodeling & restoration. In the top 10 general contractors in Solano County, according to The Prime Buyer's Report. Building & home contruction, consulting engineers. Hess Construction CO in American Canyon, CA is a private company categorized under General Engineering Contractors. Current estimates show this company has an annual revenue of $5 to 10 million and employs a staff of approximately 20 to 49. General contracting, decking and redwood services. R & R Maher is the Bay Area's most versatile concrete construction company. With projects ranging from $5,000 to $2 Million we are fully equipped to handle all your concrete needs. S.T. Munson Construction, Inc. was started in 1992 by Steve Munson with the simple idea that 'Honest, Reliability and Quality' are the three most important factors when choosing a Builder. In addition to offering the highest quality construction, Schmitt & Company offers custom concrete-and-steel fabrication as well as interior design expertise in house, making it easier than ever to add the one-of-a-kind details that transform and complete your space. Across California, Treeline Construction, Inc is known for their quality workmanship and high standards. With experience spanning all types of construction, their specialty lies in seismic retrofit, historic preservation and custom architectural woodworking and joinery projects.